How may we help you? At Gibbc Network We are here to help! We offer. Please Pick offered service Page. IF you are looking for IT service Please contact us. 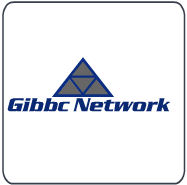 Gibbc Network offers comprehensive tech support for set-up, install, diagnosis and repair of up to three computers and connected devices in a home. For a low monthly fee you get unlimited access to Gibbc Network’s Tech Experts who will help you set up your Digital Home and provide on-demand support for any number of issues, round the clock, all through the whole year. Gibbc Network’s Digital Home Plan offers support for a comprehensive range of technologies including desktops, laptops, printers, scanners, routers, digital cameras, MP3 players and over 500 software applications. Setting up a Digital Home Network for up to three computers. Resolving all errors or issues related to you’re the computer or software applications. Fixing browser issues, and problems with internet connectivity or email. Diagnosis and repair of devices connected to your computer including printers, scanners, MP3 Players, cameras, smartphones, etc.